You are here: Home / News / Car News / Frankfurt Motor Show / 2018 Porsche Cayenne revealed: more like a 911 SUV than ever? 2018 Porsche Cayenne revealed: more like a 911 SUV than ever? The new Porsche Cayenne, revealed here ahead of its 2017 Frankfurt Motor Show debut, may not look completely new, but Porsche insists that it is: the “sports car amongst sports utility vehicles” is both sportier and comfier, as the firm moves its range-topping SUV further upmarket to give the smash-hit Macan further space to develop. Surprisingly, Porsche says the new Cayenne is more like a 911 than ever as well. How? Through some of its details: the use of mixed tyres, where the rears are wider than the fronts, for example. 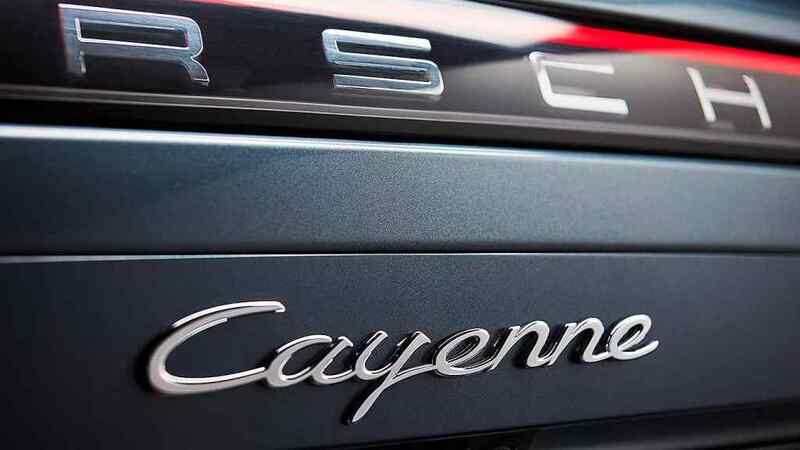 The availability of Cayenne-first rear-axle steering. 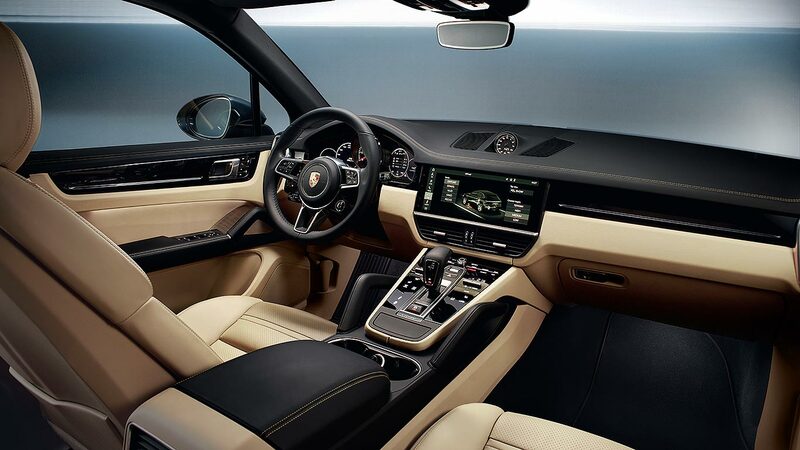 Standard active all-wheel drive Porsche 4D Chassis Control, and Porsche Dynamic Chassis Control electronic anti-roll for the S. Even the 911-look Sport Chrono Package steering wheel Mode button. Oh, and like retro 1980s Rothmans-liveried Porsche 911 SCs, it will still genuinely go off-road – not that many owners are likely to exploit this (despite the new Offroad Precision App that details and films rough terrain). They’ll be more interested in on-road potency: Porsche delivers by ensuring even the cooking Cayenne S can go from 0-62mph in under five seconds. Prices? The new Cayenne costs from £55,965, and the Cayenne S is priced from £68,330. Surprisingly, both are available to order right now; deliveries will begin April 2018. It’s “new and yet familiar,” the 2018 Cayenne, acknowledges Porsche. Dimensionally, it’s 63mm longer (now just a smidgen under five metres) and 9mm lower; the 2,895mm wheelbase remains the same but the profile appears more streamlined. The wheels are an inch wider on both standard Cayenne and sportier Cayenne S – wider at the rear than the front, remember. They are at 19-inches in diameter as standard, up to 21-inches as an option. Bigger front air intakes and horizontal light edges make it look wider; LED headlights are fitted to all new Cayenne, with the Porsche Dynamic Light System (PDSL) offered as an option, so owners can boast of no fewer than 84 individual LED units: they respond actively to not glare oncoming traffic, and even ensure you’re not dazzled by the glare from reflective road signs. At the rear, there are yet more LED light units, and a 3D Porsche logo that spans the interconnecting red LED strip between the units themselves. Behind it lies a massive 770-litre boot, a whopping 100 litres bigger than before. 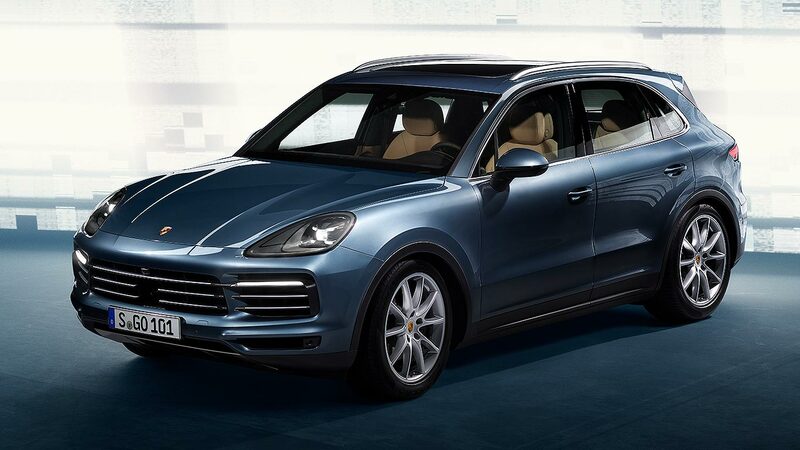 The Cayenne is still a five-seater: owners have zero interest in a seven-seat Porsche SUV. 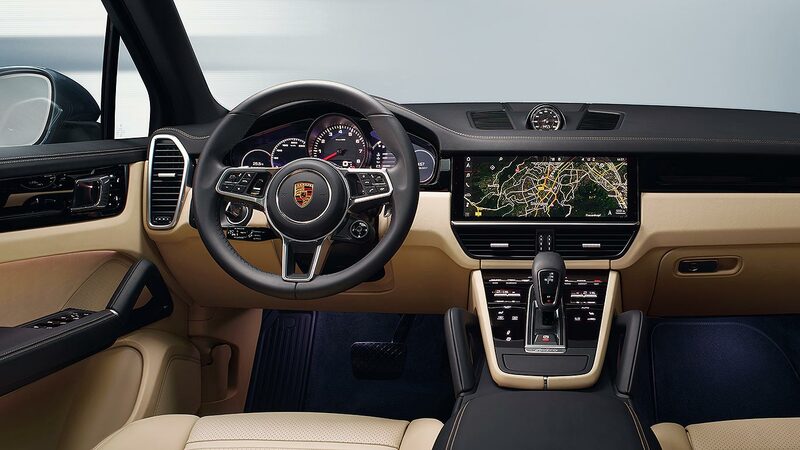 Like the latest Panamera, the new Cayenne has been given a digitised interior makeover. 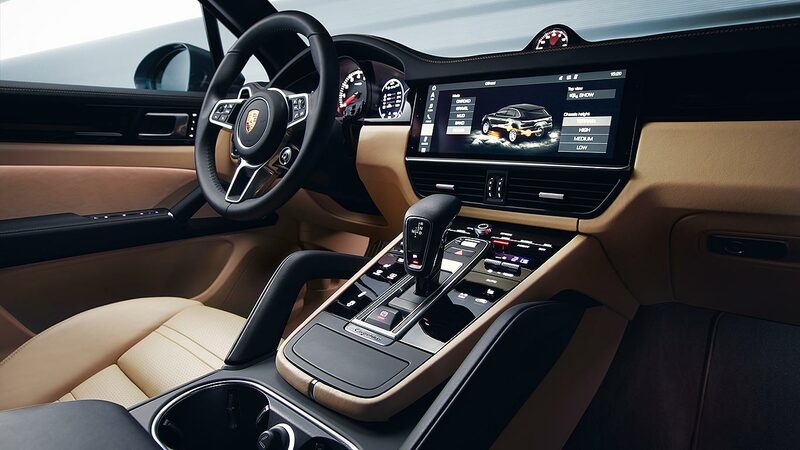 The centrepiece is a 12.3-inch full HD touchscreen, which incorporates the latest Porsche Communication Management (PCM) system. Porsche Connect Plus online functionality is, needless to say, standard. There are still some conventional buttons, but there are a lot more smartphone-like controls set within a glass-look touch surface: users get both acoustic and haptic feedback (you ‘feel’ a pulse when you operate them). Porsche has retained its central analogue rev counter for the driver, but now fits two 7-inch HD displays either side, that are fully configurable. You can have retro-look dials, but also enjoy readouts from, say, a Night Vision Assist thermal imaging camera, or the surround view parking camera system. Audio? Depending on your budget, it comes from Bose or Burmester. The faster Cayennes are still to come: at launch, it’s either regular Cayenne or hotter Cayenne S (significant detail note: there’s no diesel at launch… will there be one at all?). The Cayenne has a 3.0-litre V6 turbo petrol, producing 340hp and 331lb ft of torque. That’s good for 0-62mph in 6.2 seconds, or 5.9 seconds if you choose the Sport Chrono option pack (most surely will). It is capable of 152mph; Porsche isn’t yet quoting economy or CO2 figures. The Cayenne S has a 2.9-litre twin-turbo V6, as already seen in the Panamera (and, ahem, the Audi RS5). Here, it’s tuned to put out 440hp and 405lb ft of torque, for a 5.2-second 0-62mph time that again drops to 4.9 seconds if you choose Sport Chrono. Drive regularly in Germany? You’ll find this one can do 164mph. Both have a new eight-speed Tiptronic S automatic with PTM Porsche Traction Management. 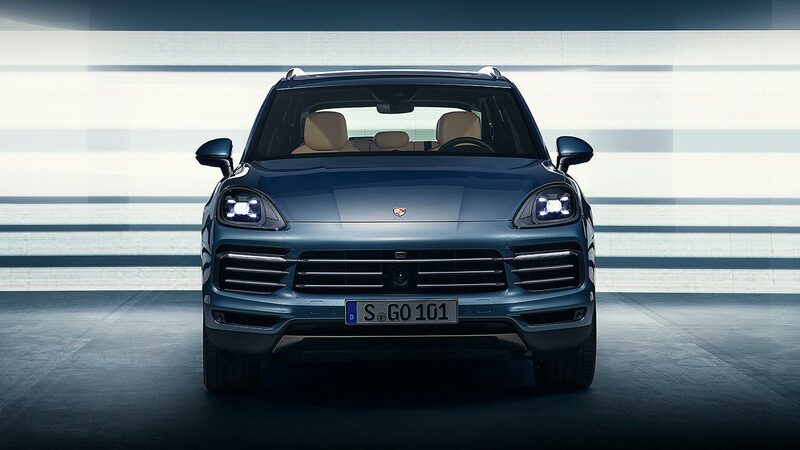 The new Cayenne is up to 65kg lighter than the current car, thanks to using both aluminium and steel in construction. The body, for example, is made entirely of aluminium. And Porsche’s chuffed to bits with its new lithium ion polymer battery, which alone cuts 10kg from the car’s weight. It all helps drop weight of the standard model down to below two tonnes for the first time. 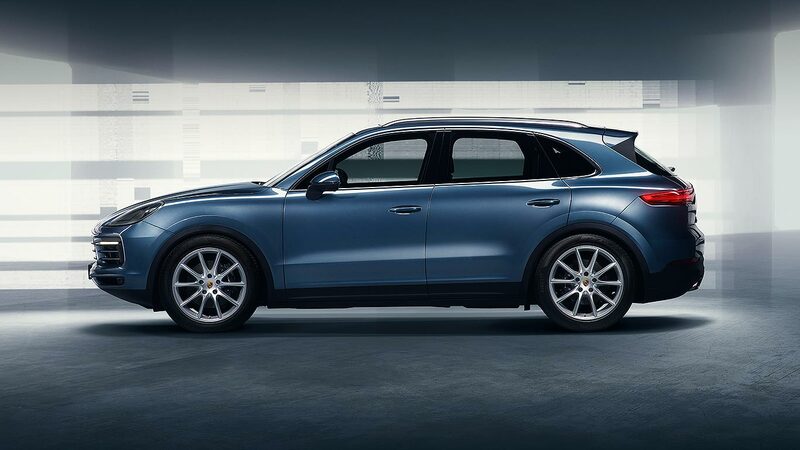 Porsche 4D Chassis Control is standard, and the Cayenne S adds Porsche Active Suspension Management. 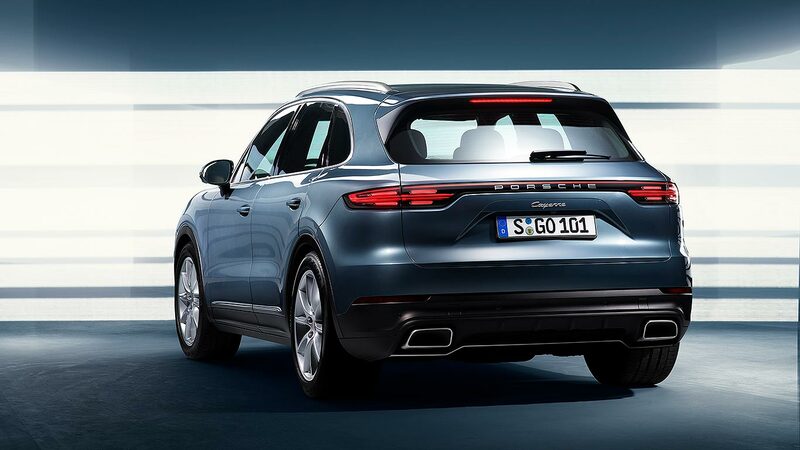 You can optionally have adaptive air suspension plus, as mentioned, Porsche Dynamic Chassis Control (whose 48-volt electronics give it the necessary firepower) and rear axle steering to make the new Cayenne more manoeuvrable in town, more agile in corners and more stable at high speeds. Porsche is renowned for its great brakes. With the new Cayenne, it’s offering Porsche Surface Coated Brake (PSCB) anchors for the first time. They comprise a cast iron disc with a tungsten carbide coating: benefits include more stopping power, less wear and, interestingly, less brake dust. For the moment, it’s Porsche exclusive tech, which can be spotted by the white brake calipers and, once run in, the ultra-shiny disc surfaces. https://www.motoringresearch.com/wp-content/uploads/2017/08/2018_Porsche_Cayenne_05.jpg 768 1366 Richard Aucock https://www.motoringresearch.com/wp-content/uploads/2018/12/mr-top-motoring.svg Richard Aucock2017-08-29 20:33:282017-08-29 22:24:412018 Porsche Cayenne revealed: more like a 911 SUV than ever?